Welcome to SRETSIS.COM website (the “Website”). By accessing this Website you agree to these terms and conditions (the “Terms”). If you do not agree to them you may not use this Website and should kindly leave this website. If you continue to use the Website or if you order products, we will take this as your acceptance of these terms and conditions. SRETSIS.COM is an online service of Sretsis Company Limited with registered office at 37/85 M.1 Chaengwattana Rd, Klonggluea, Pakkret, Nonthaburi, 11120, Thailand. “SRETSIS.COM” (since now will be called “We”/”Our”/”Us”) is provided solely for your personal use for the purchase of clothes, accessories, jewelry and other items (“Items”) under the following brand: Sretsis, Sincerely Yours and Little Sister. 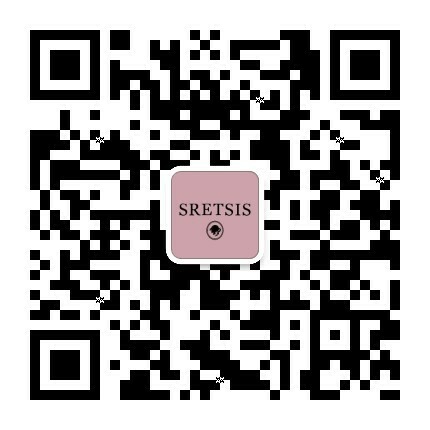 The products purchased on www.sretsis.com are directly sold by Sretsis Co., Ltd. We have taken great care to ensure that the items on our website are presented as accurately as possible. The products offered for sale on SRETSIS.COM may not exactly correspond to the real garments in terms of image and colors due to the internet browser or monitor used (Computers, Notebooks, Smart Phones, Tablets or Androids). Before placing an order, please read through these Terms. Be the holder of a credit card or account which includes Visa, Master Card, AMEX and PayPal. Warrant that the personal information which you are required to provide when you register as a customer is true, accurate and current in all respects. If the personal information of yours has changed, please kindly update your profile on SRETSIS.COM or notify us by contacting us at customercare@sretsis.com. You agree not to impersonate any other person or entity or to use a false name or a name that you are not authorized to use. By using this site you agree to comply with, and be bounded by, these Terms. We may from time to time change these Terms at our sole discretion. By using this Website after any such change(s), you agree to comply with, and be bounded by, the Terms as changed. Displayed prices shown on the site and invoice are in US Dollars (USD $) or Thailand Baht (THB ฿) which is the price and currency that you pay at checkout. To ensure final pricing before confirming your order, we recommend that you click to select your country from the list of shipping destinations. We ship on a DDP (Delivery Duty Paid) basis, meaning that all relevant import taxes and duties are already included in the product price. Prices are subject to change in response to currency exchange rate changes, markdowns and other commercial factors. The price applicable to your order will be the current price at the time your order is accepted. We accept payment via Visa, Master Card, Amex and PayPal. When selecting PayPal at checkout, you will be directed to the PayPal site to “Log In” and review the amount shown before clicking “Place Order”. Once this transaction is completed, you will then return to SRETSIS.COM. Payments by credit or debit cards will be processed by Omise Gateway electronic payment service. All details of the card will be sent by encrypted protocol to said service without third parties having any access thereto whatsoever. Such details will not be used by Sretsis Company Limited except for performing the procedure relevant to your purchase or for reporting cases of fraud to the police on the website. The price of your purchase will be charged to your current account only when the purchased products are actually shipped. We will treat all your personal details as confidential. When you register on this Website, or make a purchase, we will collect personal details from you such as your name, e-mail address, billing address, telephone number. We guarantee that any personal details which you provided to us are held in security and will not be published to the third party nor other company. The statistic purpose to improve this Website and our services to you. To serve Website contents to you. To administer of this Website. To notify you of products or special offer that may be interested to you. To send you information or our news and update by email. To send you the promotion or discount codes. The cookies are the small file information which is sent to your computer or devices. When you visit a website, it will recognize your device on future visits to improve your site experiences as well as to ensure that the adverts or offers you see online are most relevant to you. The cookies are provided for four purposes by the following description. For shopping functions: These cookies enable you to browse the website and use our features such as shopping cart, wish lists and suggested items. For website analysis: We use these cookies to measure and analyze our customers’ online shopping behavior on our website. This allows us to continuously improve our website, marketing analysis, promotion tools decision and improve your shopping experience. For customer’s preferences: When browsing or shopping online, the website will remember preferences you make (for example your user name, language and location). This makes your browsing easier and more personal to you. For advertising and adverts: These cookies are used to deliver adverts which are most relevant to you. In addition, they limit the number of times you see an advertisement as well as helping us measure the effectiveness of our advertising and banner campaigns. To provide a shopping experience that is secure, this web site uses Secure Socket Layer (SSL) technology. SSL is encryption technology that provides security for information that is transmitted over the internet. When SSL is enabled, you will see a padlock icon at the top of your browser in which you may click on this to learn more about the SSL digital certificate. You will also see the URL beginning with “HTTPS” instead of the standard “HTTP” when you are in the secured mode. Transactions on this website are processed through secure online payment gateway that encrypts your card details in a secure environment. To provide additional security measures, we utilize” Verified by VISA” and “MasterCard Secure code”. If you are paying with a card that is enrolled with one of these programs, your issuing bank will require you to confirm your details after submitting your order. You will be prompted at this time to enter your password for authorization. This will be handled electronically through your bank. Unless otherwise stated, all intellectual property rights, including but not limited to copyright, trademark, registered and unregistered designs, database rights, domain names and goodwill (“Intellectual Property Rights”) in all content presented on this Site, including all text, graphics, logos, photographs and images is the exclusive property of SRETSIS COMPANY LIMITED or its licensors and is protected by applicable legislation around the world. Any commercial use including the reproduction, modification, distribution, and transmission of any content is strictly prohibited without the consent of SRETSIS COMPANY LIMITED.